This coming weekend sees the start of the 12th Alliance Tournament (AT). While I generally don’t watch e-sports, I am an avid follower of this particular event. Like many sports fans, at the start of every tournament I choose a few teams to follow. Teams that I think will either provide great entertainment, surprise everyone by doing better than anticipated, or win the very worthy prizes offered up by CCP to the finalists. This week I am going to share my picks with you all. What is the EVE Online Alliance Tournament? 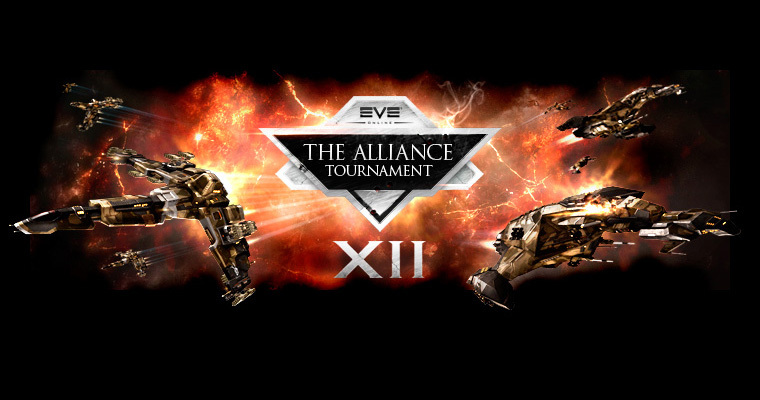 The Alliance Tournament, organised yearly by CCP, pits teams from EVE alliances against each other across a series of brackets, and eventually a grand final. This is all held in Jove space, under the watchful eyes of tournament team devs. To get yourself familiarised with how the tournament works, watch this excellent video by Crossing Zebra’s very own Hendrick Tallardar. For me the AT is one of the purest forms of combat in EVE, even with the imposed rules. In this setting, close-knit groups tend to excel. The Tuskers are an alliance perfectly set up to do great things in the AT thanks to being both well versed in small gang combat and used to working together on a regular basis. This is their first AT however, and with their opening match against the veteran Cynosural Field Theory, The Tuskers may well fall at the first hurdle. As with The Tuskers, Agony are another team whose pilots work closely together at all times (not just when the AT comes around), a trait that will be to their benefit in the arena. They have considerable experience in the AT, going back to the 7th tournament back in 2009, and move up the ladder each year. Since ATXI last year they have lost a couple of their big name pilots, and only their performance this year will tell if that was a body blow or not. I tried to remain neutral, but I really can’t avoid recommending my home team. Ever since our entry into the tournament scene back in 2011 in ATIX we have become a solid community favourite. Being at constant war is the best forge by which to hone the edge of a combat pilot. This year our team is stronger than ever, having learned much over the past three years, although they are lacking me as a pilot, so we’ll just have to wait and see. An alliance heavily involved in Faction Warfare on the side of the Gallente militia, and as with RvB, constantly at war. It’s this condition alone that makes me want to root for this team (and my editor won’t forgive me if I ignore his precious militia!). FW being what it is, small gang arena style PvP is the bread and butter out there. I do feel however that since the Gallente broke the Caldari, that the “frogs” are lacking in the combat department. I am sure that having live targets will reinvigorate this Gallente group into demonstrating to the rest of us that lowsec folks do know how to PvP! While the teams I discuss above are certainly ones to watch, and have a good chance reaching the Finals weekend, they may well end up being soundly beaten by the more famous tournament teams out there. What really needs to be said here? 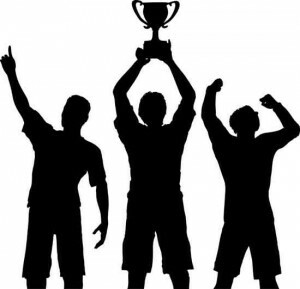 PL have won the tournament a record four times through a combination of extreme spending, creation and adoption of tactics faster than the competition, use of the metagame in opposition prep, and recruitment of the best and brightest pilots from ‘lower tier’ teams. Very much a one trick pony. It’s just that single trick consists of excelling in the AT! Outside of PL, some of the most famous AT (and indeed solo or small gang) pilots in EVE fly on this team. They have the wallets and mastery of metagame to succeed where others cannot. While a new name to the AT scene, they are not new to the EVE tournament environment. This alliance has pilots who have flown in the AT at all levels in the past. Most notably, many of them flew together under the THINGY banner in the New Eden Open 2. While they lost out to Warlords of the Deep (Hydra by another name), The Camel Empire reached the finals in as convincing a manner as possible. As with real life sporting events, I like to place the odd bet. Back when I first began following the AT, this was more of a gentlemen’s agreement with people from my corp or other channels. These days I use EVE-Bet. They are offering people the chance to bet on either individual matches or simply the winners of the whole thing. More importantly, thanks to EVE-Bet I can get the experience of popping down to the bookies, without the need to deal with smelly people, smoky air, and multiple TVs all blaring different events. Obviously I only touched on a small number of the teams participating in the AT this year. In total there are 64 competing teams, all of them with numerous reasons worthy of support (or your gambling ISK) beyond alliance allegiance. I do hope that with the changes to the prize structure all the teams put on a great show and prove their mettle in the best crucible of all.